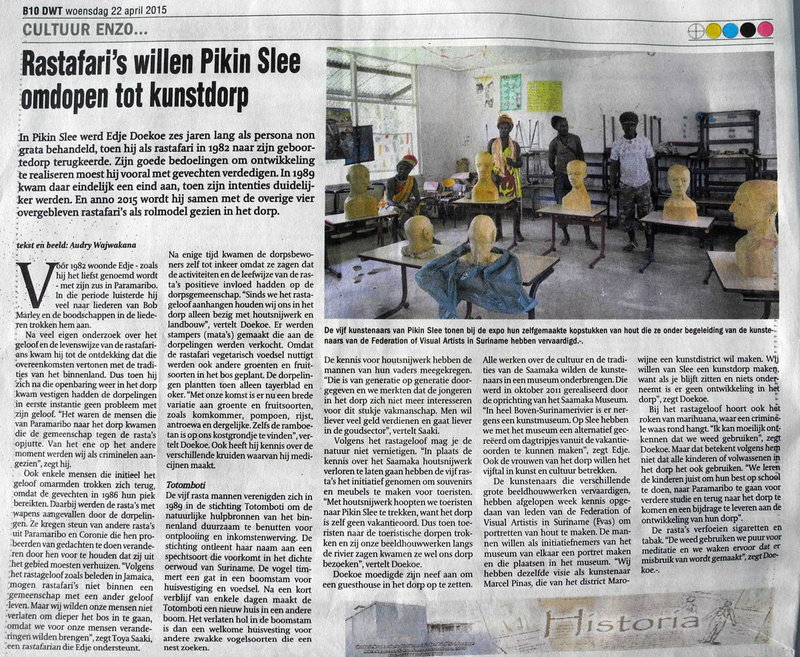 "Artproject gives community Pikin Slee more selfconfidence"
Another article about our project in Suriname in national newspaper of Suriname. For a bigger image please download. The image doesn't enlarge much in the viewer, sorry! 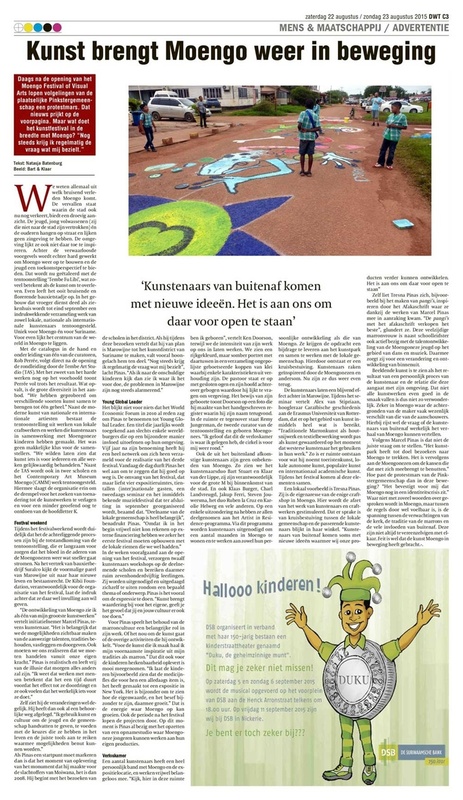 yesterday our project was presented and appeared in the national newspaper in Suriname. 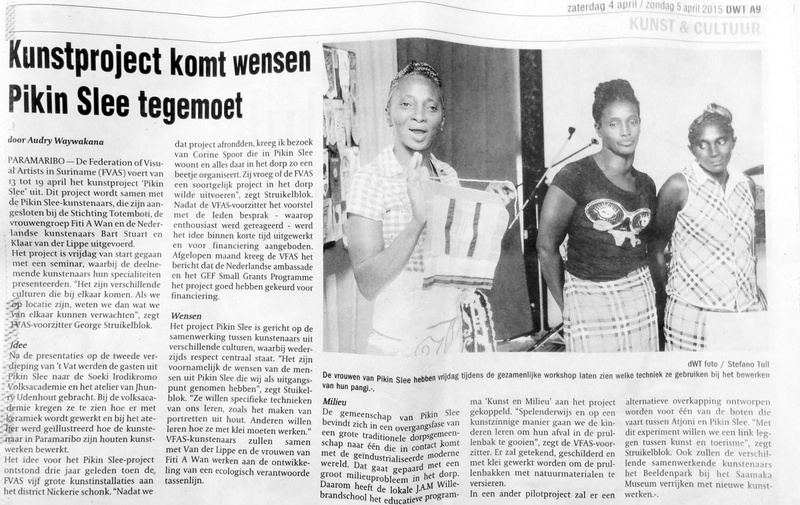 the woman of Fiti a Wan were very proud to be in the paper. They are great!